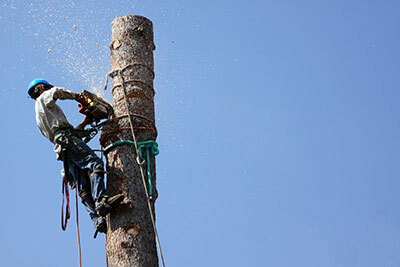 Above All Tree Service provides expert tree services in San Antonio. 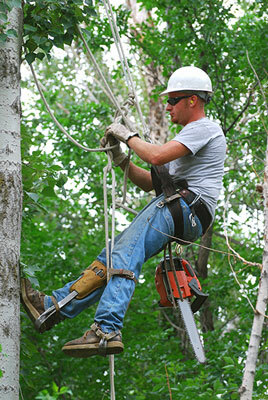 Our tree care professionals are able to care for all your residential and commercial tree service needs. Above All Tree Service offers tree service in San Antonio, Stone Oak, Alamo Heights, Helotes and the surrounding areas. The tree services we offer are numerous and cover everything that can involve Earth's favorite type of growth. While we started doing good work on trees, we quickly expanded to cover virtually every land issue one could think of. Have a look at what we offer, and if what you're looking for isn't there, get in touch with us and we'll see what we can do for you. Call the ﻿﻿tree service experts in San Antonio﻿﻿ today! Perhaps even more difficult than pruning, trimming a tree without compromising its integrity requires exceptional knowledge of tree types and how they react to different environments. While pruning is usually done during winter, aesthetic or functional trimming can be done year-round as long as the appropriate precautions are taken. Many of our customers call us asking for a trimming job during the spring and summer once they've witnessed a tree's overwhelming growth – they hope we can bring it down to size without causing any harm. 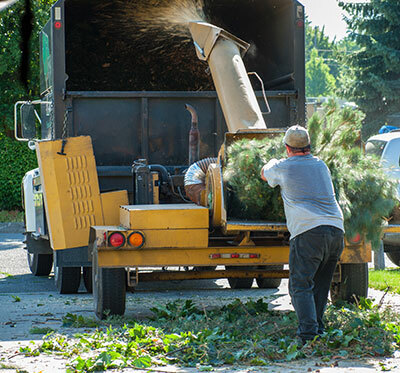 The trimming services we offer can lower the amount of leaves, reduce the size and amount of branches and even reduce a tree's overall height. Most of these methods don't come without risks, however, and you should weigh the pros and cons carefully before making a decision. Should you insist on a trim we find ill-advised, we won't be able to guarantee a tree's prosperity in the coming months as there are simply too many issues that can arise when a tree is placed under undue stress. That being said, we don't really find ourselves going against our customers all that often – they're reasonable people who know how to take an expert's advice and apply it in a way that benefits everyone. If you'd like a different look or feel to your tree, think it's growing too large for comfort or consider it a nuisance or even a menace to its environment, don't hesitate to get in touch with us even if the task seems a bit unorthodox – there's a good chance we've already done a similar trim, so we'll know exactly what to do and, perhaps more importantly, what not to do. 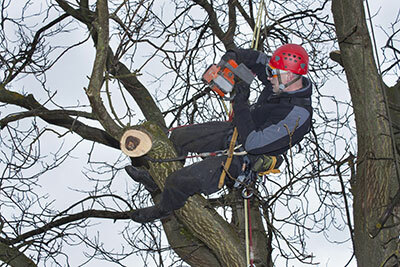 ​Considering how ubiquitous it is on virtually every type of tree, pruning is hardly what you could call a natural act. This is best highlighted (or rather, worst) by trees who grow sick because the people in charge pruned them as if they weren't living organisms. If you ask us, pruning should always be done by professionals and shouldn't even be attempted by the Average Joe. Maybe it looks easy enough – chop off a few branches, what could go wrong? Lots. 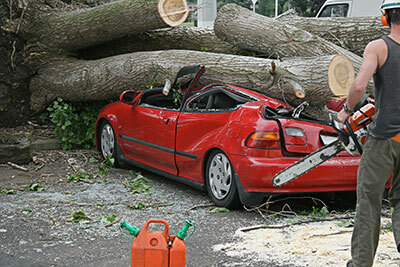 The damage done to a tree can't be reversed, however severe it is, which is precisely why trees so often die in the wake of excessive trimming. Having our arborists venture on-site and examine your tree is the most responsible thing you can do to guarantee its vitality. Consider the potential longevity of each tree – isn't it a great shame to 'kill' it far ahead of its time? When thinking along these lines, setting aside a few bucks for professional care doesn't seem all that difficult. You can always count on each of our employees having your tree's health in mind first and foremost as opposed to our own profit. As such, be sure that we will speak our mind and let you know if we feel pruning your tree is a bad idea (or that pruning it as much as you'd like would be inadvisable) – not to say that we won't work with you to find a satisfactory alternative for your current situation, of course. Out of all the jobs we work on, we'll have to highlight tree removal as the most difficult one. You didn't think bringing a tall and mighty tree from vertical to horizontal would be easy, right? Successful tree removal requires both perfect planning and execution lest it wreaks havoc on its surrounding area. 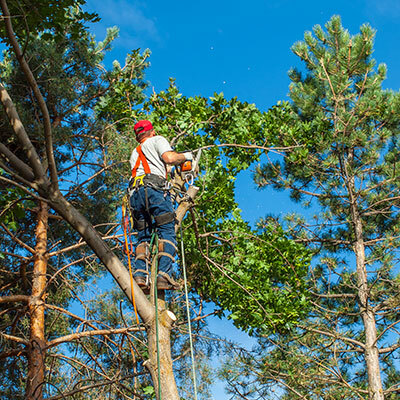 While pruning can sometimes be done by the property owners themselves – with the green light (no pun intended) of a certified arborist, of course – tree removal should never be done by anyone who isn't a professional. There is simply too much that can go wrong, and there is no need to subject people and property around the tree to unnecessary risks. We'll handle every tree removal gig as if you and the tree were once close friends – with attentiveness and respect for you and your desires. Your reasons for wanting a tree removed can vary – as long as they are sensible, count on us to do the job right by you and the tree. It's also worth giving some word about smaller, lighter or thinner trees whose size can mislead owners into thinking that they can be removed with ease. 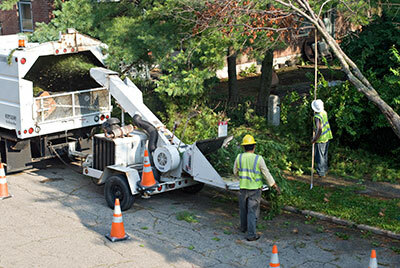 Have no doubt about it – every tree removal is difficult, even if it looks like a walk in the park. It's not just that the tree will tend to weigh far in excess of your estimates – even merely gauging the height without errors can rarely be done by the untrained eye. You might have brought your tree down and even successfully chopped it into pieces, but the job isn't over yet – there's still the stump to worry about. The tree's last remnant will often be the most difficult part to remove. Scratch that – it's downright impossible to do away with unless you have the proper tools. To remove a stump, you'll need a specialized machine called a stump grinder. These are generally expensive and therefore purchased only by professionals, with property owners merely choosing to rent them instead. But even if you got your hands on a stump grinder, what are you going to do next? Removing a stump is a lot more technical than it might seem, and there's also a lot more potential for injury than you might have been lead to believe. It's not just you who can get injured in various ways (like falling prey to the ultra-powerful stump grinder should you lose focus in the worst of times) – others in the area can get hurt just as easily. 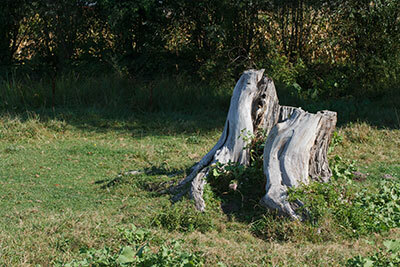 If you just finished a difficult tree removal job, doing away with its tough-as-nails stump is probably the last thing you want to do – chances are, you'd like to sit back and plan what to do with the newly-acquired land space. Let us apply the finishing touch while you figure out what to do next – we'll present you with pliable and welcoming land that will be ready for whatever venture you might have in mind. Those who have never encountered ball moss can sometimes panic when they first see it. They'll often be concerned that the moss is parasitic, feeding off the tree and potentially making it sick as a result. Another concern might be that the moss is somehow harmful to people, especially when it grows past the tree and onto man-made structures. While neither of these concerns is valid, ball moss still shouldn't be left to flourish for too long. The longer you leave ball moss to grow, the harder it will be to remove, especially in the cases of moss that stretches high up into the air. Our ball moss removal services will remove every last bit of this pesky growth from your trees in no time – we can also apply a substance in order to try and subdue future growth as well. Likewise, we'll instruct you on future tree maintenance so that you can recognize ball moss in its infancy and cut it down before it becomes a problem. Safe as it is on its own, ball moss can still end up threatening the health of both you and your trees, albeit not directly. Like with any unwanted presence, it's best removed as soon as it's noticed – you'll enjoy peace of mind and your neighbors will thank you for it. Rest assured – as bad as your current growth of ball moss is, you won't even realize you had a problem with it once we're finished doing our magic. Owning an extra piece of property is great, but only if you can make some use of it. Too often, land owners will feel overwhelmed by the rampant growth in the area and will choose to act as if the land isn't their own for the time being or even try to 'wait it out' in hopes that the growth will subside. We offer an alternative that's effective in every sense of the word: have us clear your land and prepare it for future conquests by its owner. Land clearing jobs can range from easy to extremely difficult, but we'll tackle each and every one of them with equal ferocity as we aim to make things more accessible for you. If you found yourself reluctant to clear your land, we aren't about to reprimand you for it. It's more than the fact that the task is oftentimes too difficult for the owners themselves – the clearing process can also be dangerous for those attempting it in various ways (tall grass harboring ticks and even snakes on the premises are just some examples of why you want to leave land clearing to the professionals). You might not want to do anything with your land other than sell it, and that's perfectly fine. But you won't have an easy time selling a piece of land that looks like a jungle – no matter the type of land you have and the unwanted growth it's experiencing, we promise to make it worthy of being on the front page of a properties-for-sale listing. When the going gets tough, the tough get going – while another tree service contractor might make you wait until their schedule has emptied up, Above All Tree Service won't turn down a customer in urgent need any time soon. Because we serve a fairly large area instead of focusing on a single city, our schedule tends to be filled to the brim and we're generally working at full capacity all the time. Despite this, we make our line openly available for emergency services to clients past, present and future. If you can't wait, we're not about to try and force you to – we'll send someone to you in the shortest possible amount of time and see how we can fix your issue in a timely fashion. We get it – there's nothing you'd like to deal with less than a tree falling on your house on a Saturday evening when your local arborists are closed until Monday. There's no need to wait a second longer than is necessary – if you're in any one of the many areas we cover, don't hesitate to call us with urgency in mind and you'll enjoy the same amount of urgency in our approach.